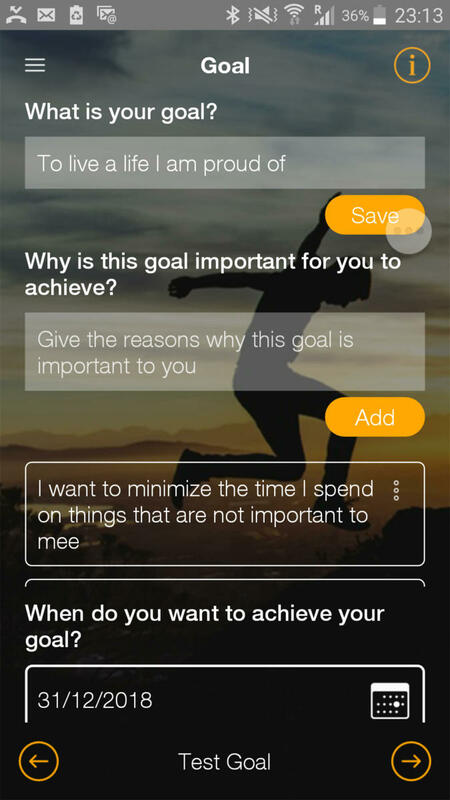 The purpose of the app is to facilitate you in your process of improving one or more aspects of your life. With the use of this app, you get a good overview and control of the required elements when you move –to become a better you. Set a good goal with a deadline. Ask yourself WHY this goal is important.